You can get a ton of storage for your new laptop - but you'll probably have to pay an arm and a leg for it. Putting a 4TB SSD in the new MacBook Pro immediately adds $3,200 to the cost, for example. With the Flash Memory Summit in Santa Clara quickly approaching, Samsung has made a rather exciting announcement for those who pine for high-capacity SSDs. So even if you don't need a 4TB hard drive, the technology will lead to updated storage solutions for mobile devices as well (though 512GB smartphones might make memory cards obsolete). 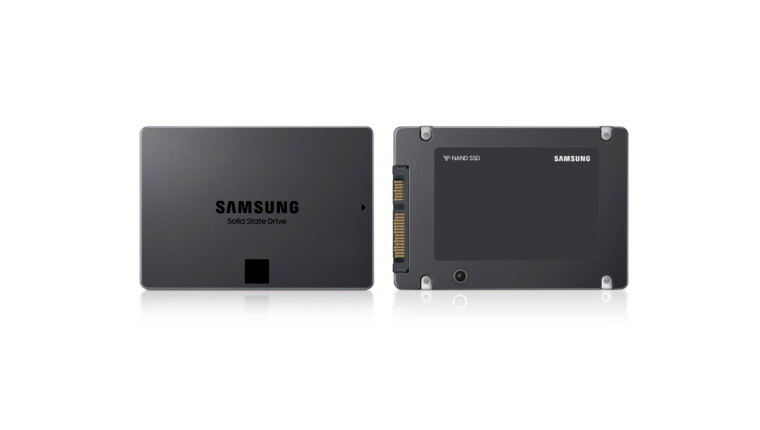 Samsung claims its 4-bit SSDs maintain the same performance levels as its 3-bit equivalents, by using a 3-bit SSD controller and TurboWrite technology. "As we expand our lineup across consumer segments and to the enterprise, 4-bit terabyte-SSD products will rapidly spread throughout the entire market", Han said. With the amount of data being stored in each cell increasing from three bits to four, performance and speed of the new SSDs were expected to decrease. As a result, sequential read speed is given as 540 MB/s and sequential write as 520 MB/s, though random read/write figures have yet to be revealed. The company's new 4TB QLC SSD is very fast and, though Samsung didn't share exact pricing yet, it's aimed primarily at consumers, not professionals. Plus, each of the drives will come with three year warranties. Samsung says it plans to also release 1TB and 2TB versions and that the first ones will be available later this year. This chip design will end up in consumer SSDs as a 1Tb (terabit) 4-bit V-NAND chip. The 2 and 4 TB drives will still be a bit spendy, but the 1TB tier should offer a solid price advantage over current 1TB solid-state drives. Samsung is also planning to use its 4-bit V-NAND chip in microSD cards.